French composer and pianist Francis Poulenc’s Concerto for Two Pianos and Orchestra in D minor, FP 61. Soloists (piano): Tomer Gewirtzman and Daniel Borovitzky. The Buchmann-Mehta School of Music Symphony Orchestra conducted by Zubin Mehta. 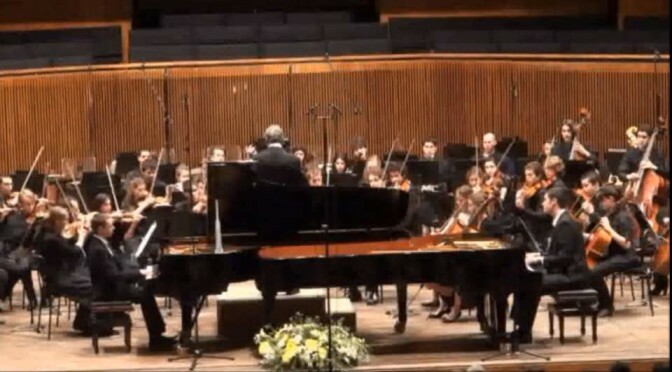 Live recording from the annual gala concert of the Buchmann-Mehta School of Music in the Tel Aviv University on February 16, 2011. Often described as the last work of Poulenc’s early period, “Concerto for Two Pianos and Orchestra” composed over the period of three months in the summer of 1932. 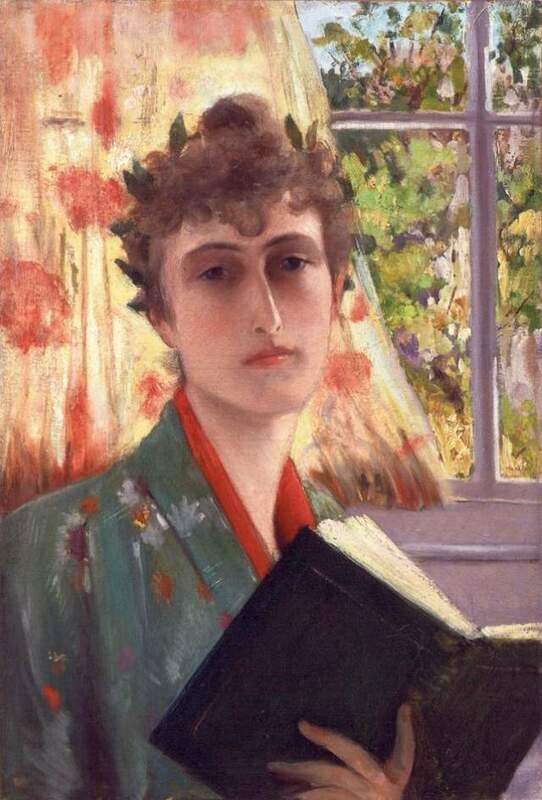 It was commissioned by and dedicated to the Princess Edmond de Polignac (Winnaretta Singer, 8 January 1865 – 26 November 1943; a musical patron and heir to the Singer sewing machine fortune. Born in America, she lived most of her adult life in France). The premiere was given on September 5, 1932, at the International Society for Contemporary Music in Venice. Poulenc and his childhood friend Jacques Février were concerto soloists with the La Scala Orchestra, with Désiré Defauw (later conductor of the Chicago Symphony Orchestra) conducting. Allegro ma non troppo. Poulenc chooses to bypass the conventions of sonata allegro in the opening movement in favor of ternary form, with a slower middle section. If this first movement is meant to evoke Mozart, it is the blithe composer of the delightful Divertimenti and Serenades. The general effect is “gay and direct,” words Poulenc often used to describe his own music. The concerto features simple ABA form in the first and second movements, but suggests a more complex rondo form with intervening episodes in the finale.